Iconic French fashion designer Christian Louboutin turned heads in the fashion world when he introduced the trendsetting red-soled shoes in the 1990s. His namesake brand has expanded and now includes handbags and beauty products as well as his signature line of shoes. 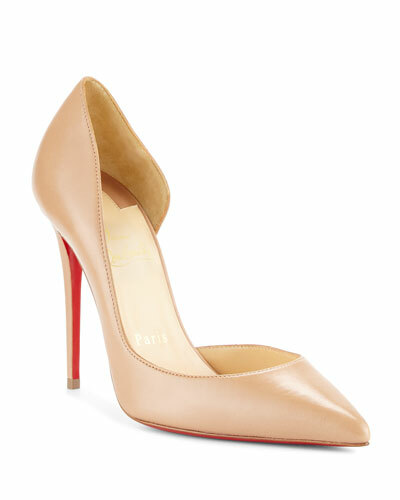 Neiman Marcus offers a great selection of Christian Louboutin shoes, handbags, and beauty products. Alexander Wang "Selena" pump in mesh and soft calf leather with hardware-heavy detail. 4.1" metallic stiletto heel. Pointed, metal-tipped toe. Alexander Wang "Selena" pump in mesh and soft calf leather with hardware-heavy detail. 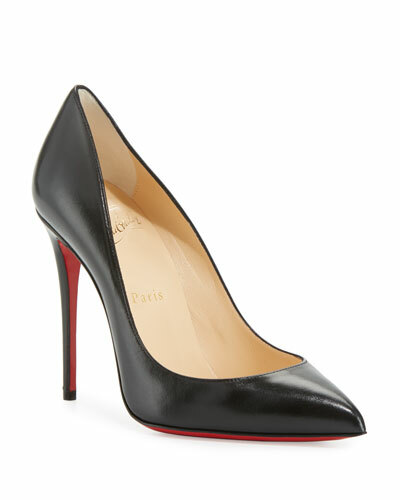 4.1" metallic stiletto heel. Pointed, metal-tipped toe. Multi-wrap ankle straps. Rubber sole. Imported. Balenciaga knit pumps in houndstooth fabric. 1.5" covered kitten heel. Pointed toe with metal BB logo. Thin leather slingback strap. Balenciaga knit pumps in houndstooth fabric. 1.5" covered kitten heel. Pointed toe with metal BB logo. 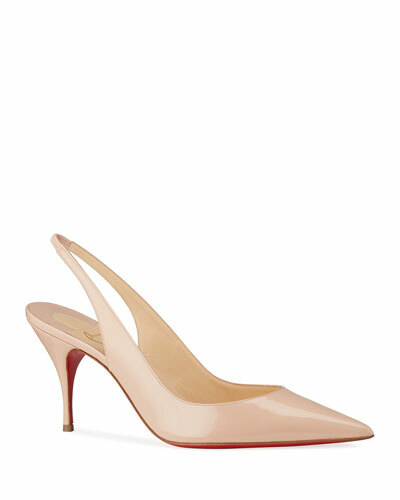 Thin leather slingback strap. V'd vamp. Slip-on style. Leather lining and sole. Made in Italy. Christian Louboutin pumps in PVC and holographic shiny speckled leather. 4" covered stiletto heel. Pointed capped toe. T-strap vamp with golden spikes. Adjustable ankle strap. Signature red leather lining. "Nosy" is made in Italy. Cole Haan Italian leather pumps. Grand.OS® technology for lightweight comfort, flexibility, and responsive cushioning. 1.8" covered heel. Pointed toe. Slip-on style. Leather lining. Buffed leather outsole. "Vesta" is imported.